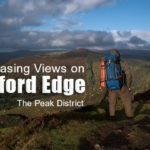 Walking & Wild Camping on Kinder Scout. 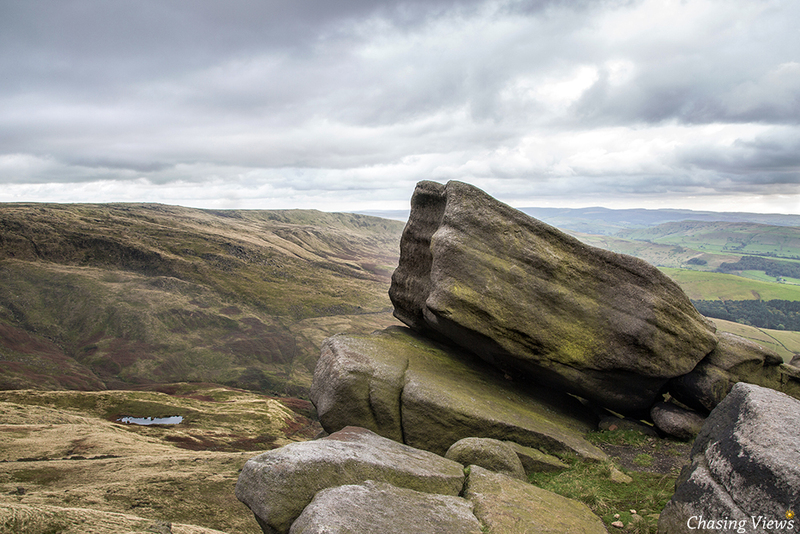 We all know that walking up Kinder Scout can be a challenge for some, but Camping on Kinder Scout is nothing but an awesome experience. 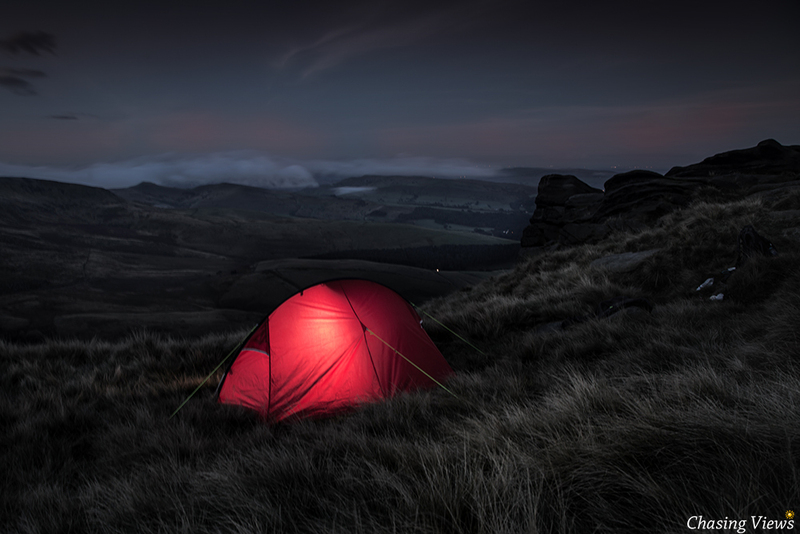 This trip was to be my second wild camp up Kinder. 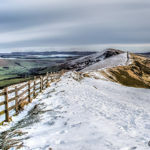 Having enjoyed the fabulous views before, I couldn’t wait to get back up this extremely impressive part of The Peak District in Derbyshire. 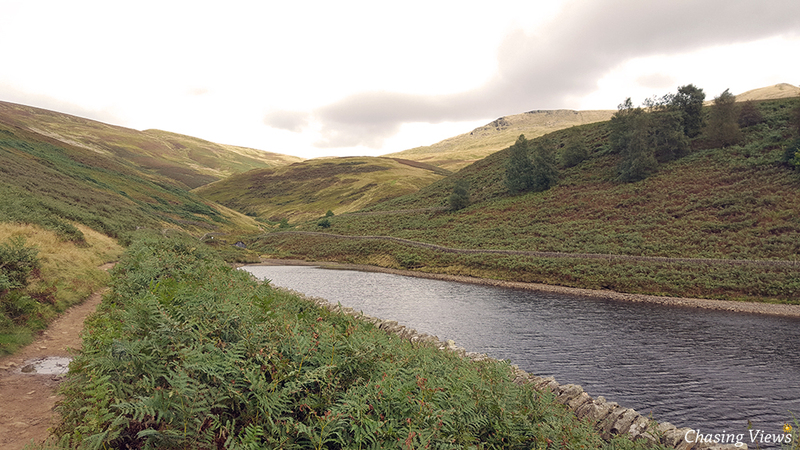 I began my previous walk up Kinder via the official start to the Pennine Way in Edale. 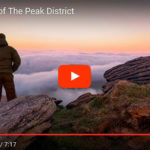 This time I decided to take a different route to see some different scenery and experience the challenges from the West side of Kinder Scout. 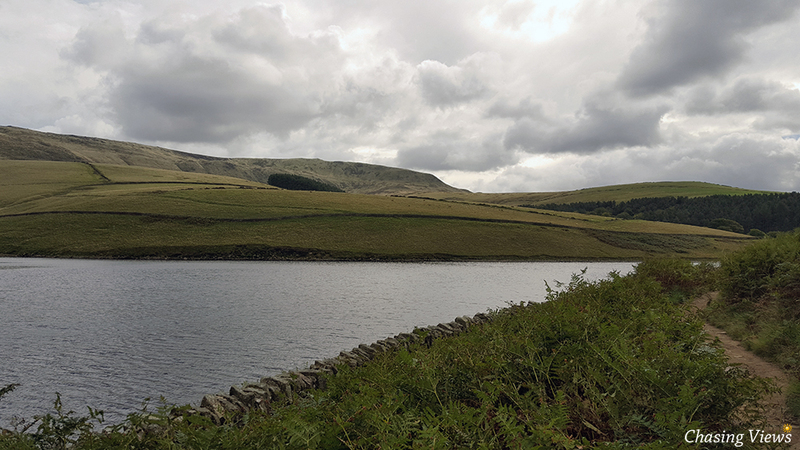 I made a plan to walk from Hayfield towards Kinder Reservoir, passing the start of William Clough, then follow the River Kinder before baring off towards Mermaids Pool. I had it in my head that I was going to pitch my tent as near to Mermaids Pool as I could. 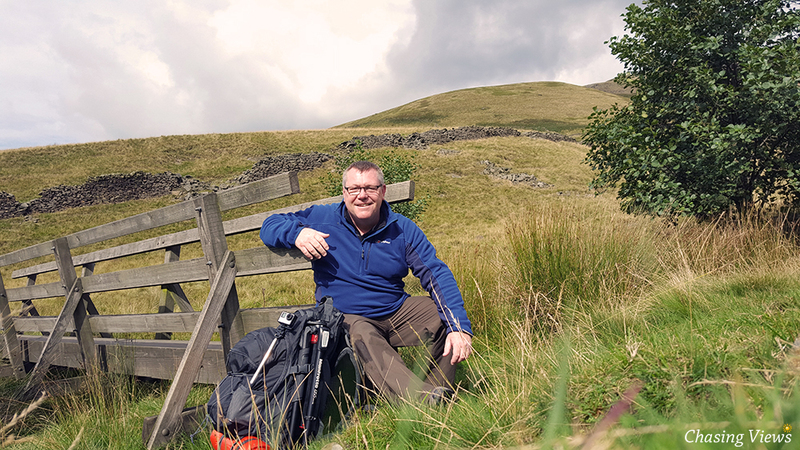 As the weather had been better than expected, I decided to scramble up the steep rocky landscape towards the peak, eventually reaching the very popular Pennine Way. Although it was very tough, I was glad I made the effort, as the view was stunning. Having had a short rest and taken in the stunning views, I then looked for a suitable place to pitch my tent. With the wind picking up and the clouds turning from a nice white to a light shade of grey. 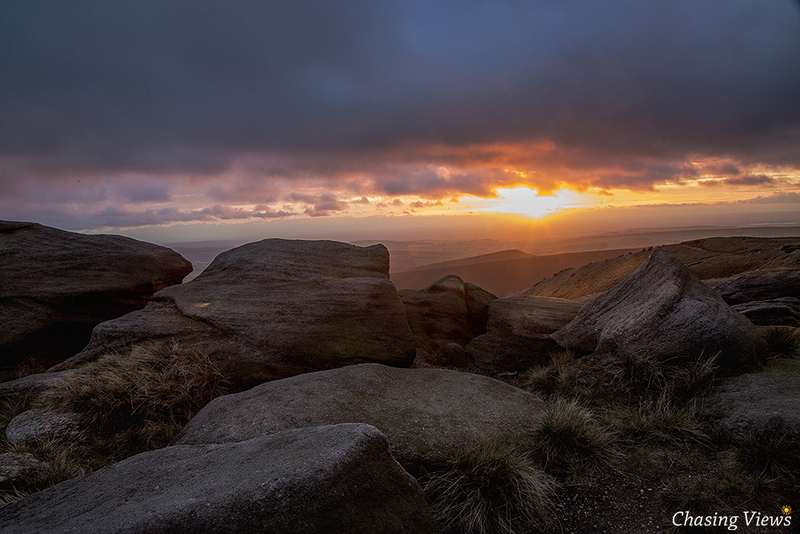 I imagined that the heavens were going to open and scupper my plans of taking photos of the sunset on Kinder Scout. 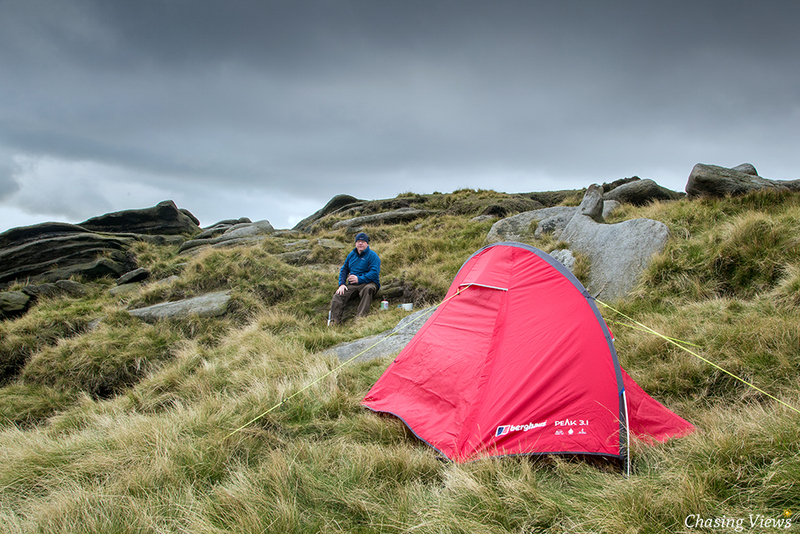 I suppose you have to expect bad weather conditions when camping on Kinder Scout, but I eventually found a nice little spot which offered me some kind of shelter from the increasing Westerly wind. So, the tent is up! 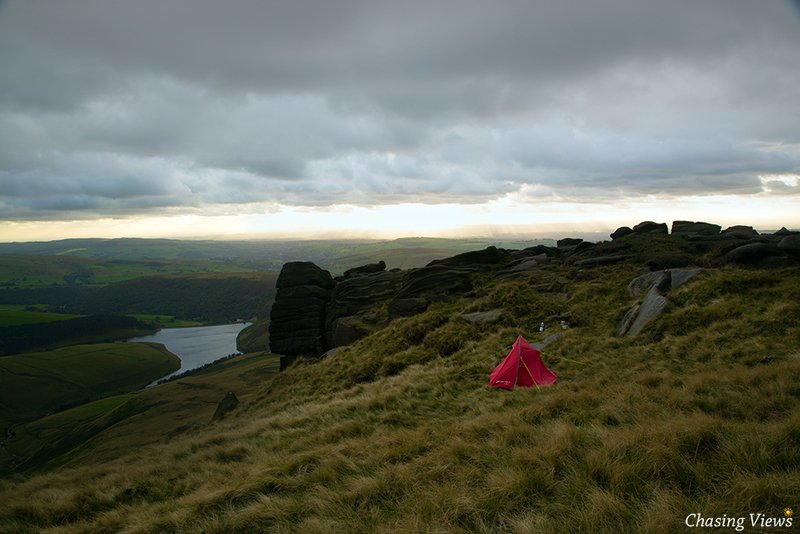 Having now pitched up my tent, my camping on Kinder Scout mission can begin. It was now time for a mooch about in the hope of finding some good photography locations to feed my passion. Having had a wonder, it was evident that should the weather stay good, I should be able to capture some good shots. Having found what seemed like good locations, I decided to brew up and plan my next manoeuvre. Plans now in place!! Time to set up the camera equipment and do my best!! 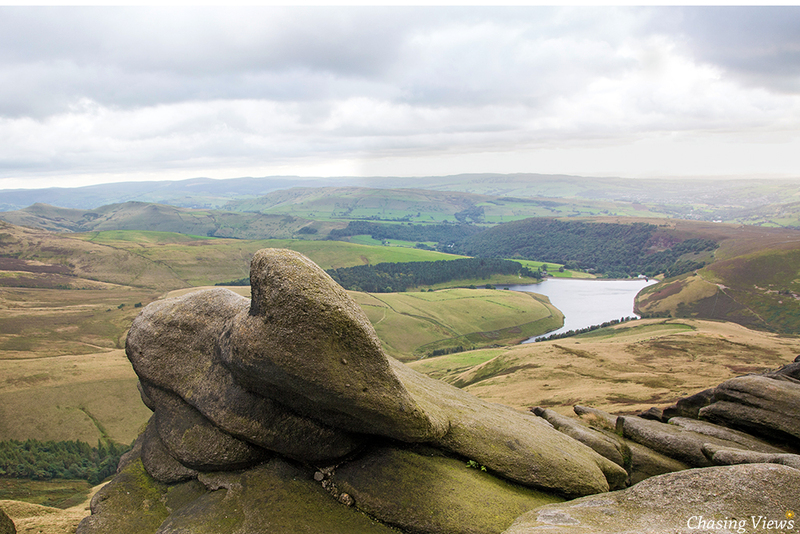 Bellow are a series of photographs taken throughout the day, starting down at Kinder Reservoir, then some photographs of the sunset from Kinder Scout. Enjoy! It was now starting to get dark and a stunning sunset was starting to appear. Just what the doctor ordered. 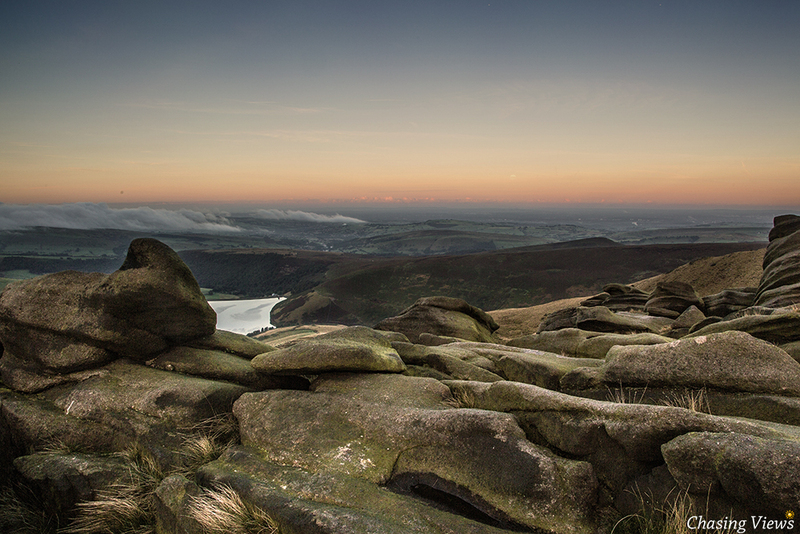 After a few more cups of coffee, it was time to set up my camera gear to try and catch the beautiful sunset on Kinder Scout. 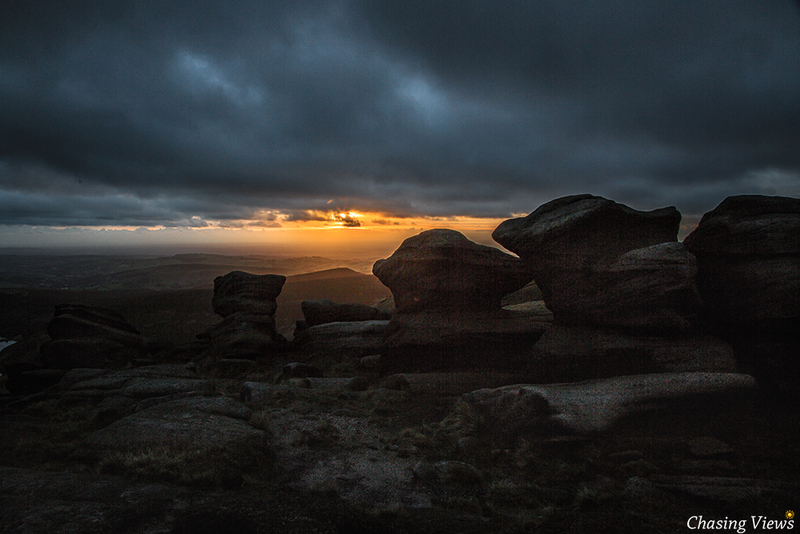 Here are a selection of photographs of the sun setting, taken from Kinder Scout. 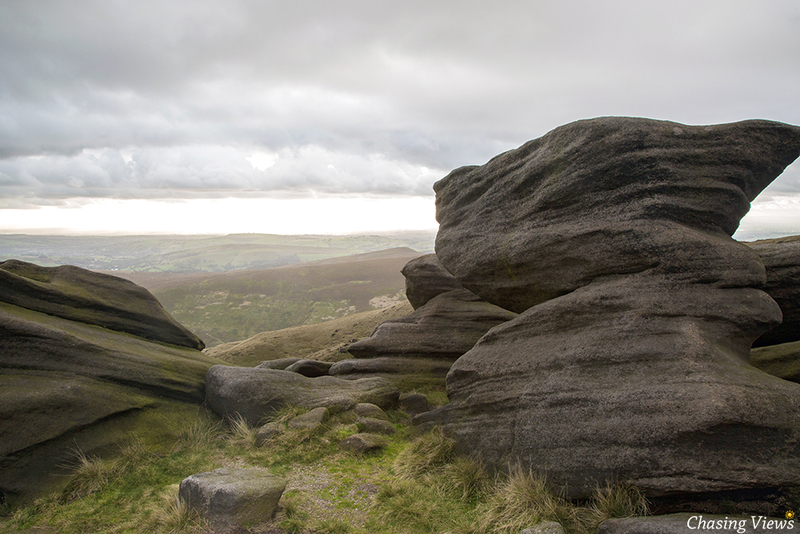 After enjoying the stunning view of the sun setting from Kinder Scout, it was time to start thinking about filling my empty stomach. 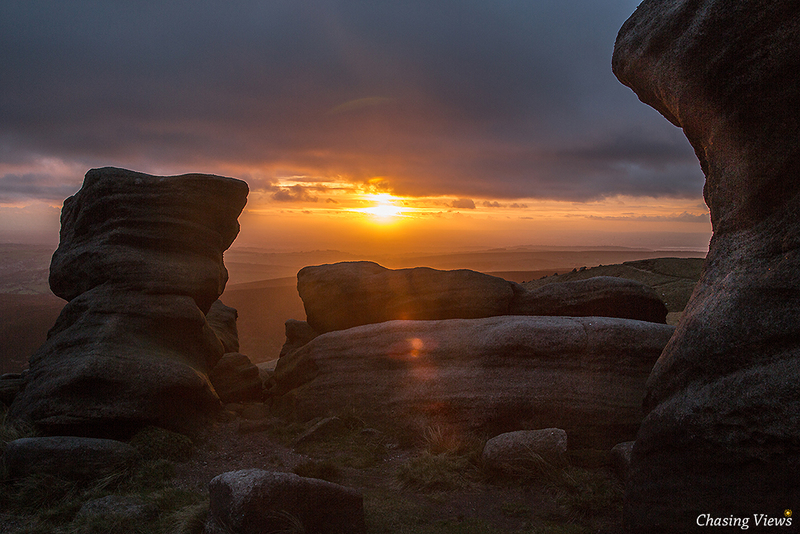 When I photograph the sunset from the top of Kinder Scout, I tend to get into my own little bubble. As the cloud formation changes so fast, its easy to miss a good photo opportunity at the blink of an eye. Food seems to be second best at times like this, but I do enjoy a good munch afterwards. Time for some grub, a few coffees and a nap. See you nice and early in the morning. Alarm set for 5:00AM. 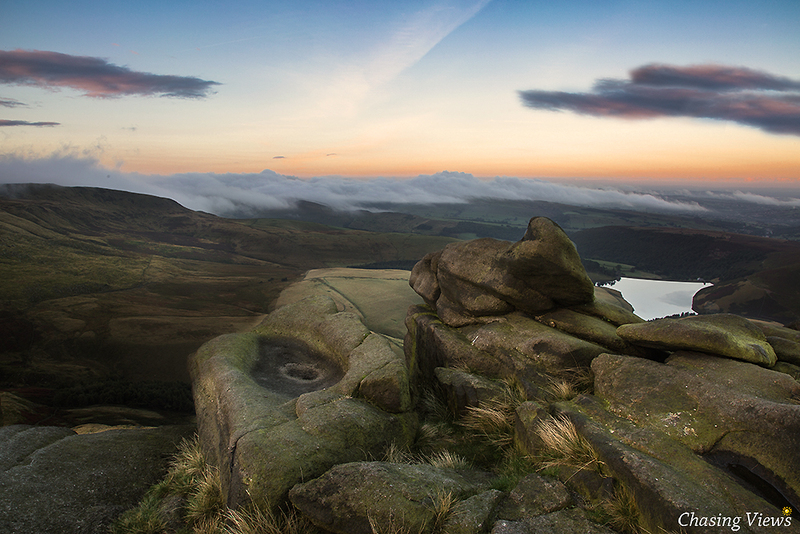 Now time to show you what I managed to photograph at first sunlight on Kinder Scout. Enjoy! 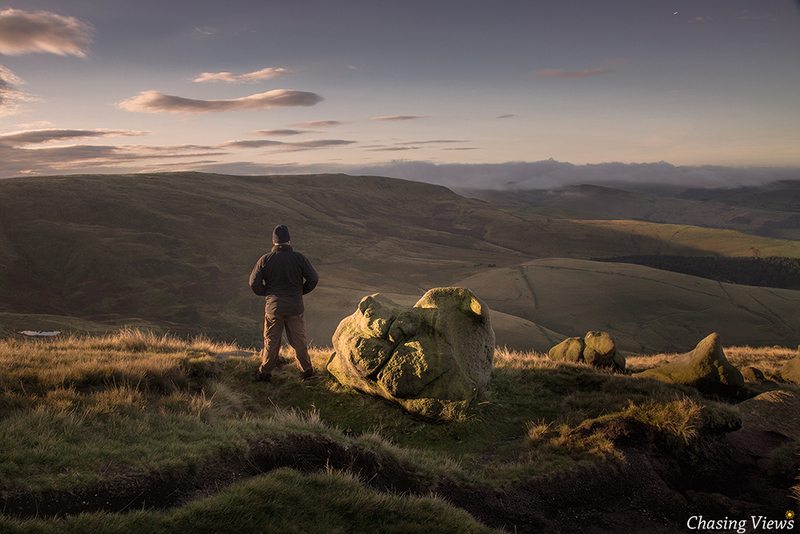 As you can see from the series of photographs above, I was greeted with stunning views the following morning. 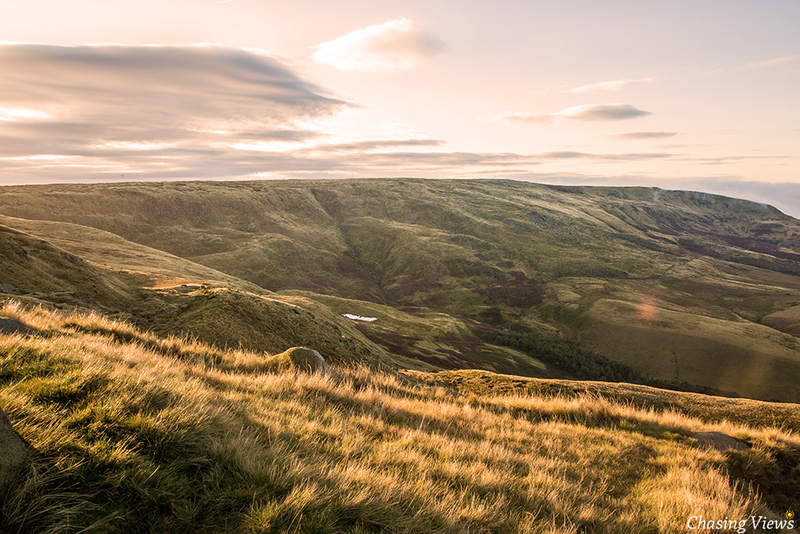 It is a great pleasure to wake up in such a stunning part of The Peak District. I see it as a fabulous place to walk and photograph. I hope you enjoyed reading this article as much as I did creating it. I am in my element when Chasing Views such as these. 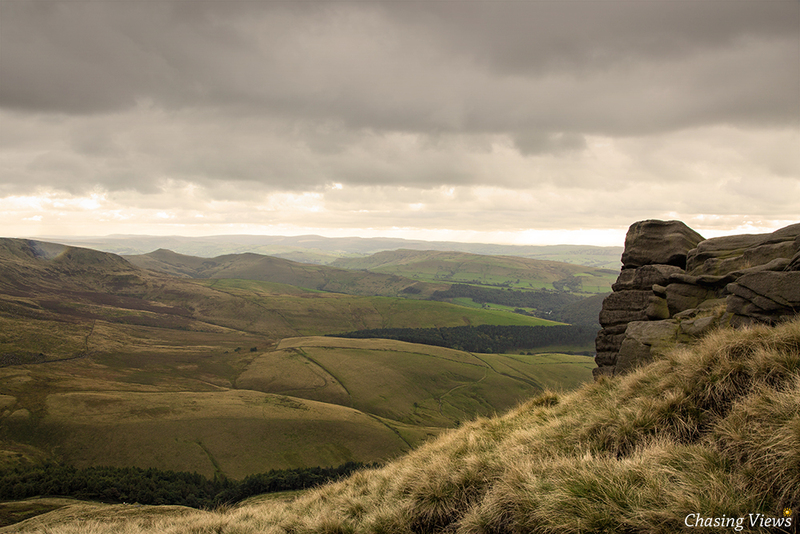 I am already planning my next Wild Camp on Kinder Scout. 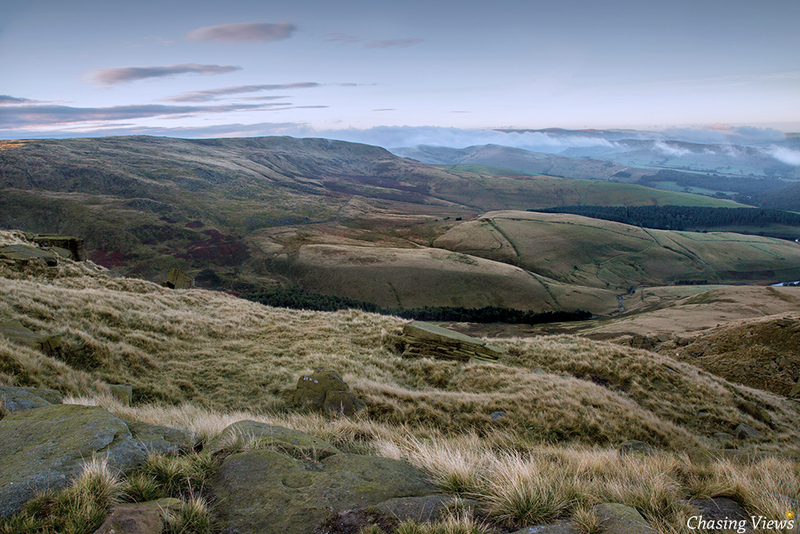 My next trip will be over on the East side of Kinder Scout. Many thanks for reading & viewing.